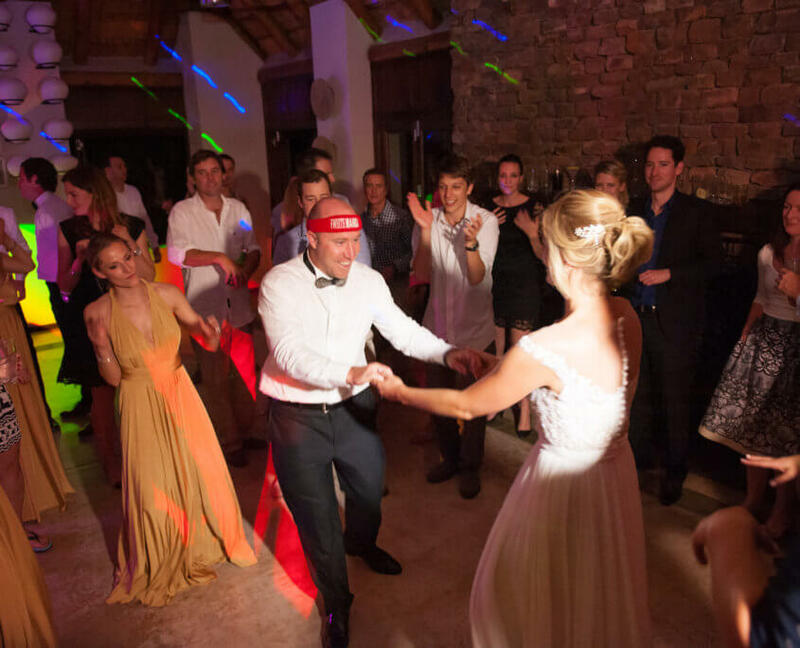 A Mammoth Safari’s wedding at the Phinda Private Game reserve in South Africa certainly is a spectacular – and enormously fun – way to celebrate that most special of days. 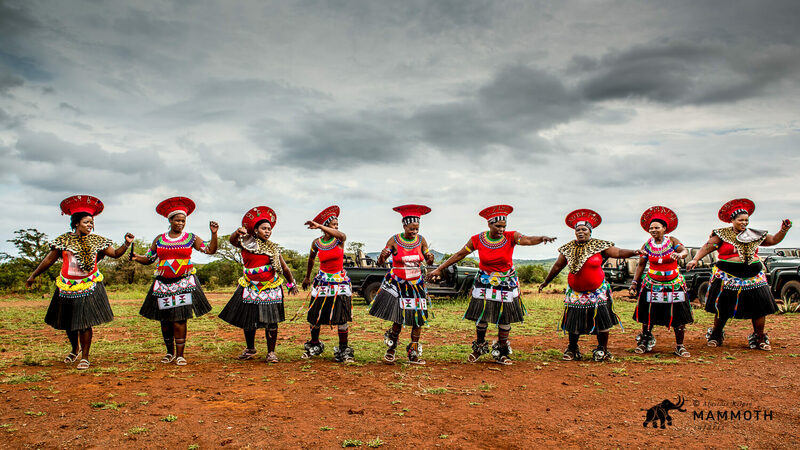 The African bush is the perfect wedding destination. Romance and adventure all rolled into one – much like the perfect marriage really. The setting could not have been simpler, nor could it have been more perfect. 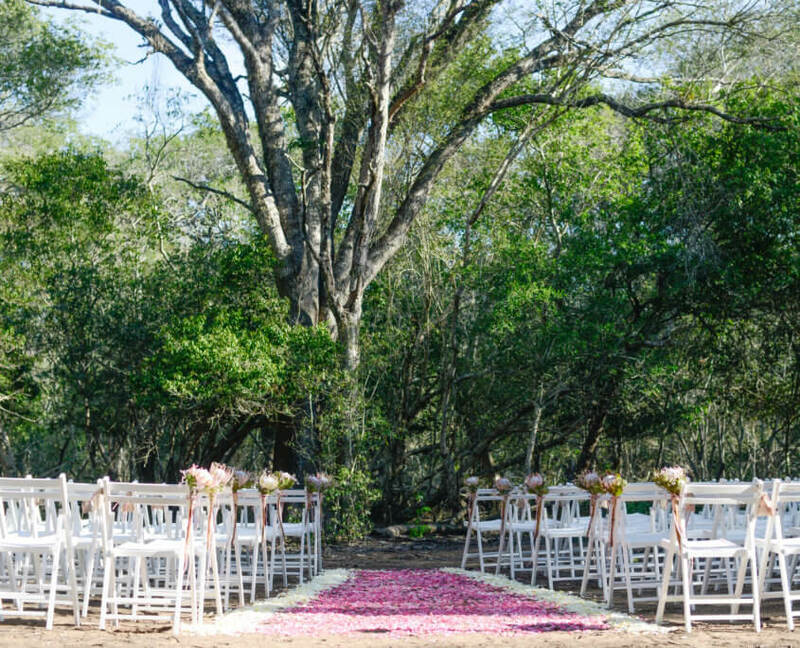 Neat rows of folding white wooden chairs flanked an isle carpeted in pink and white rose petals. The flowered walkway, which would lead the bride to her groom waiting beneath a tree that appeared older than time itself, was as if taken from the pages of a fairy tale. Where traditional churches offer altars, here the tradition is a much more ancient and equally more elegant one, as the bridal party pondered the bride’s arrival beneath the canopy of ancient trees. There was no need to sweep the aisle or polish the silver on this day, as the adornments of nature had taken care of the bulk of the décor requirements. Small hessian bags of rose petal confetti hung from the backs of the chairs and each row was tastefully decorated with a Protea and fynbos arrangement, seamlessly following a gentle colour scheme and natural theme. The rest was taken care of by Mother Nature, and what a wonderful job she did too. 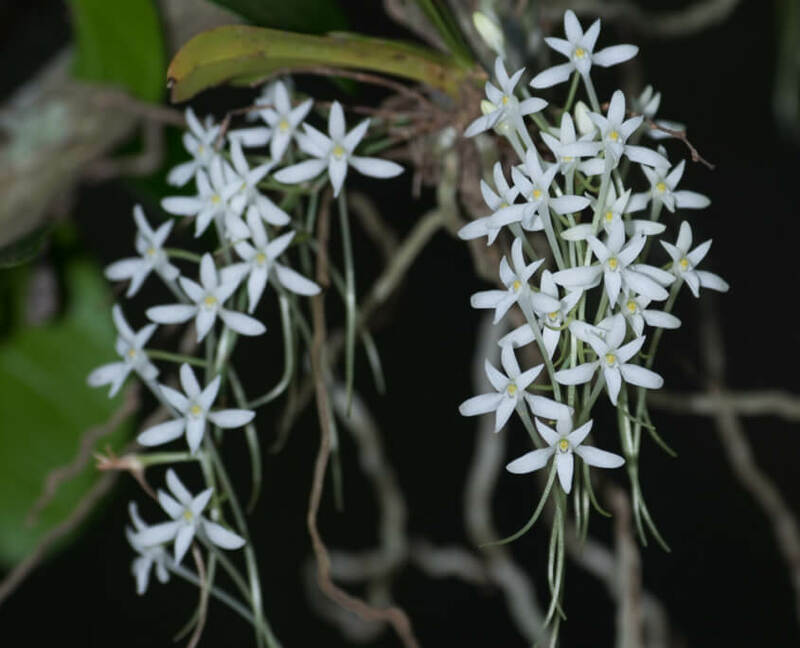 The environment of the African bush offers some absolutely stunning natural decoration – like this gorgeous orchid in the Phinda forest. The guests were shepherded to the remote venue on game viewer vehicles and arrived along a road that neatly knit a path through the forest, creating an avenue of trees. The sands of the forest floor dulled the noise of feet, and soon the vehicles were all neatly parked in a guard of honour in readiness for the arrival of the bride. An eerie quite had settled over the forest. 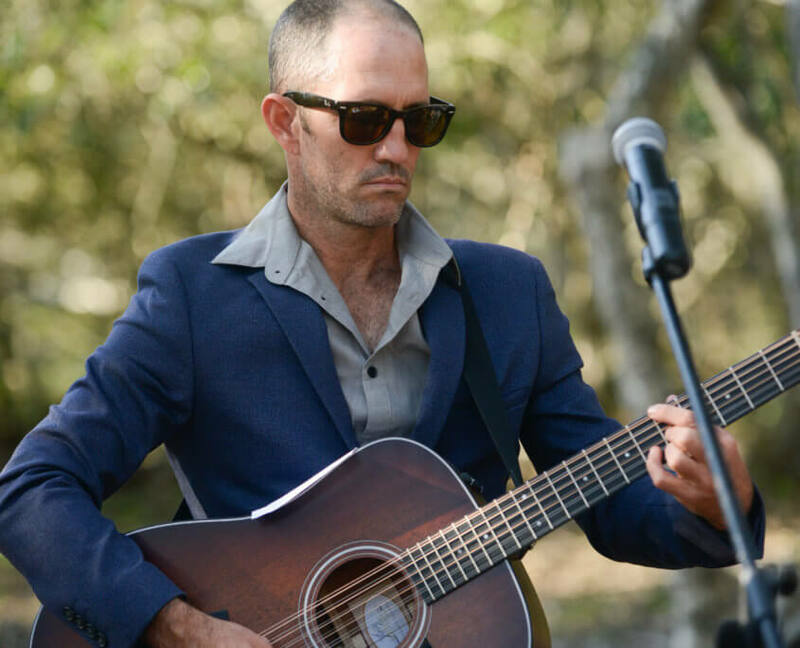 The guests could barely be heard speaking in hushed tones as the lone guitarist began to strum, singing a gentle and haunting tune. The arrival of the bride was imminent. Gone is the limousine or vintage Bentley – its all rugged Land Rover here, but with a splash of “decoration” to soften the tough lines. No one could have been prepared for the beauty of the scene that would then unfold. The lady of the moment was preceded down the isle by the black-tied groom and his handsome groomsmen bedecked in jet-black trousers, offset by crisp white shirts and finished off with quirky feathered Brackish bowties of various designs. Then came the bridesmaids, gorgeously outfitted in the softest of soft gold dresses, all fitted to perfection. This larger party was to be followed by the resplendent mother of the bride and the elegant family of the groom. As polished, handsome, well groomed and gorgeous as the advance party was, they would soon all be rightly and vastly overshadowed by the arrival of bride. The backdrop of a safari destination offers the most unrivaled and unique photo opportunities, creating incredible memories. With shafts of gentle sunlight piercing through the canopy of the trees, came a sight to literally take one’s breath away. If ever one were looking for the image of an angel, then there it was. 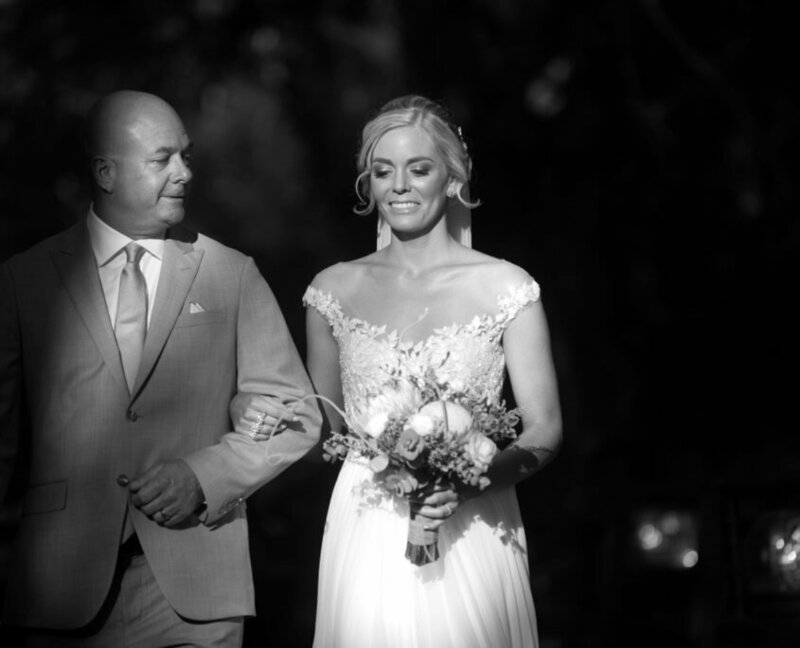 On the arm of her father, he wonderfully elegant in his soft blue suit and completed by a signature bowtie, the bride appeared to almost float down the isle where a visibly overwhelmed groom received her. 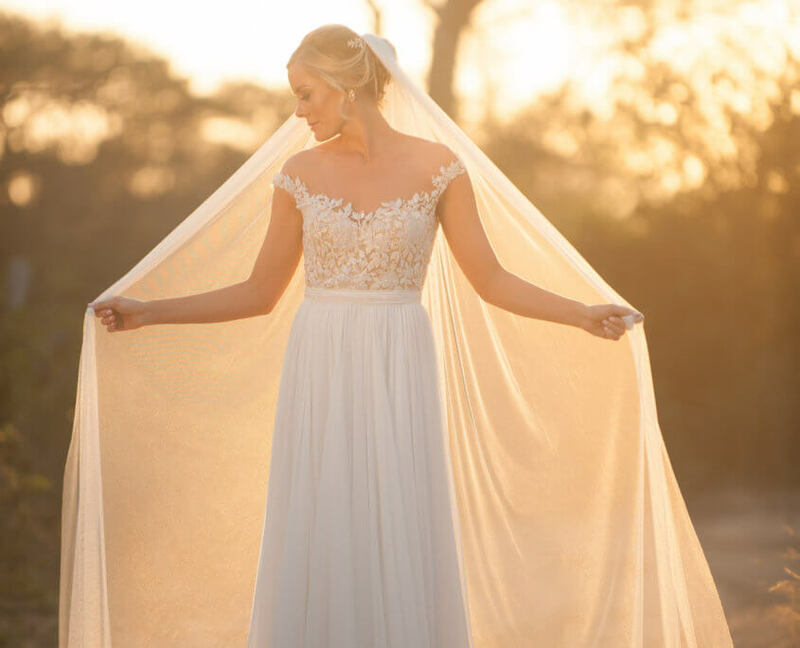 Katlyn’s dress was a study of elegant simplicity and the train of satin – which gently swept the ground as she glided towards the tree amphitheatre – provided the perfect balance to the ensemble and further enhanced the ethereal “other worldliness” of the occasion. All the while, the procession continued to be accompanied by the gentle rhythms of the acoustic guitar, expertly played by the super talented James Hendry. The service was a simple one, with a light-hearted tone and delivery that suited the playfulness of the wedding couple and soon the formalities were dealt with and the business of having serious fun was to begin in earnest. Confetti was thrown, not only by the guests, but here the trees joined in the celebration and in the congratulations too by gently sending leaves down to adorn the happy couple and their gathered guests. As the bride and groom snuck off for the customary photo-shoot, the rest of the wedding party was shepherded off (again via the game drive vehicles) to yet another piece of spectacular African wilderness just a very short drive away. Here buckets filled with champagne bottles had replaced the typical fruits that would otherwise hang from the branches of these bushveld trees. A bygone colonial era was heralded up with the “on tap” Gin and Tonic and delicious canapés, all served by the ever helpful and always smiling Phinda staff – nothing was ever an effort for them and absolutely nothing was ever too much trouble. With the photo-shoot done, the newly weds joined the party and as the golden African sun dipped beneath the horizon the guest all took their leave of this part of the reserve and headed south for the party to end all parties, hosted on the Phinda Mountain Lodge deck. 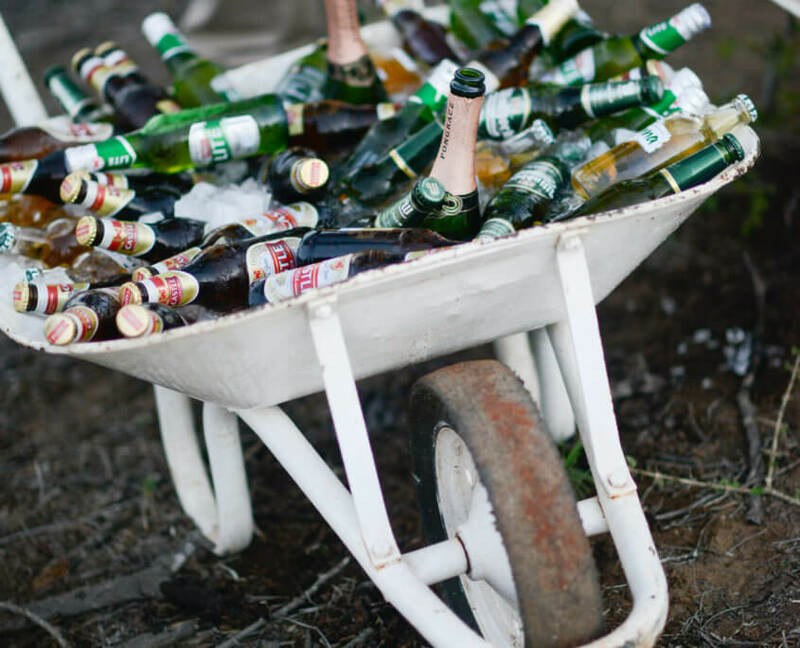 From barrows of beer to buckets of bubbly – the African bush is the perfect place to host a party! Here the wedding took a turn to the more traditional, with the formalities of speeches and the business of dining to be taken care of. As with all the gastronomic offerings from the Phinda kitchen, the food was exceptional and the wines were very pleasant and worked well with both the occasion and the food. The service too was suitably efficient without being obstructive or obvious, and the evening flowed effortlessly from one formality to the next. The order of affairs was handled with aplomb and wit as sharp as the foil of an Olympic fencer by long time friend James Hendry – author, presenter of Safari Live and raconteur of note. The evening was rounded off by “chaos” on the dance floor – opened by the happy couple who then handed it over to a collection of hooligans who proceeded to tear up a small patch of Africa, complete with the obligatory doff of the hat to the Zulu war dance and many an impersonation of rutting Impala. The night before the wedding featured a bush dinner second to none! Guests were escorted to a secret venue under the shadows of darkness to enjoy a spectacular African evening of dining under the stars. 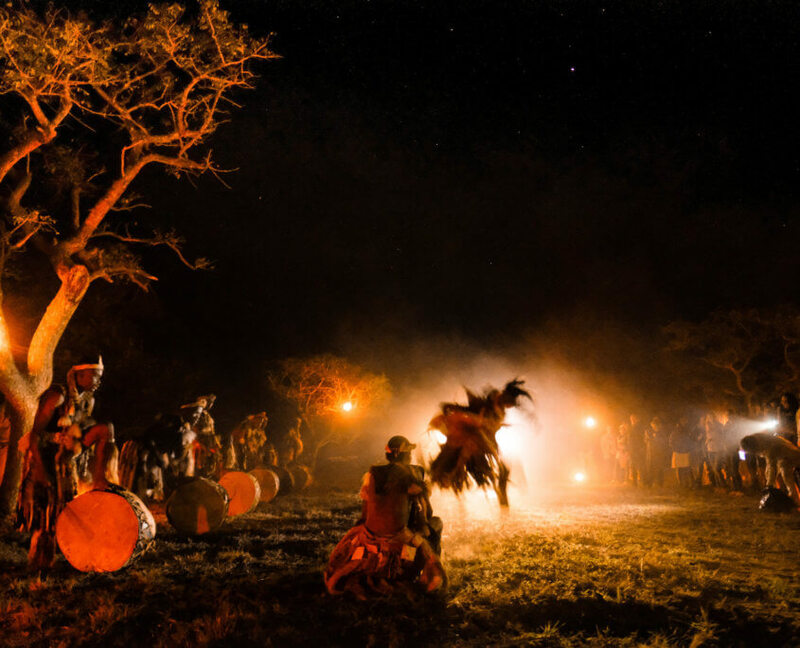 More than just the incredible food, tribal dancers and singers entertained until late into the night. 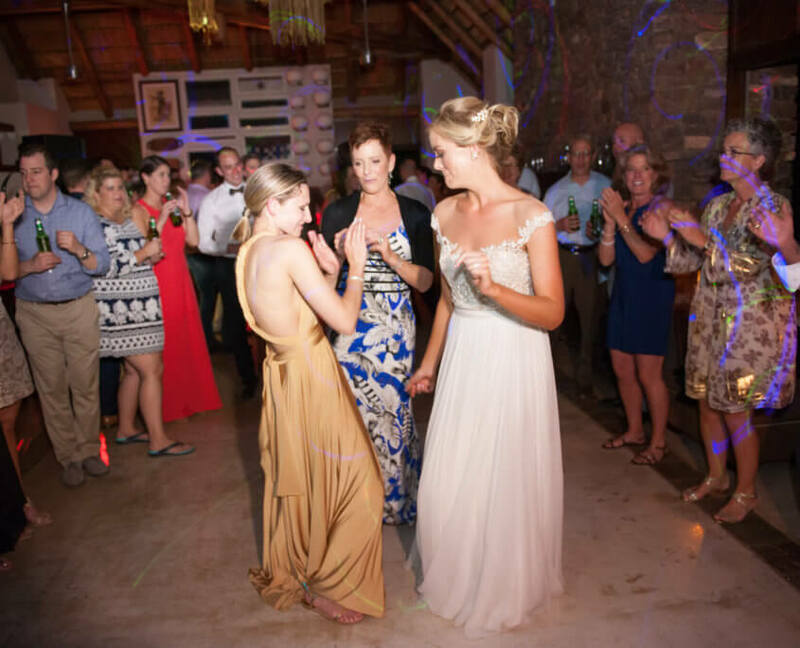 With wonderful memories of a magical Phinda wedding and with many a groggy head, the wedding party then travelled south on to Cape Town. It was here that the majestic Cape Grace hotel played host and offered all the travelers the ultimate place to unwind from a busy wedding safari schedule. The guests were treated to the best that this magical “Mother City” has to offer, with wine farms, penguins, beaches and the finest of fine dining. Here the folks all enjoyed dinners at both the acclaimed “Test Kitchen” as well as at “La Colombe” and thrilled with visits to wine farms in an around this most international of cities. 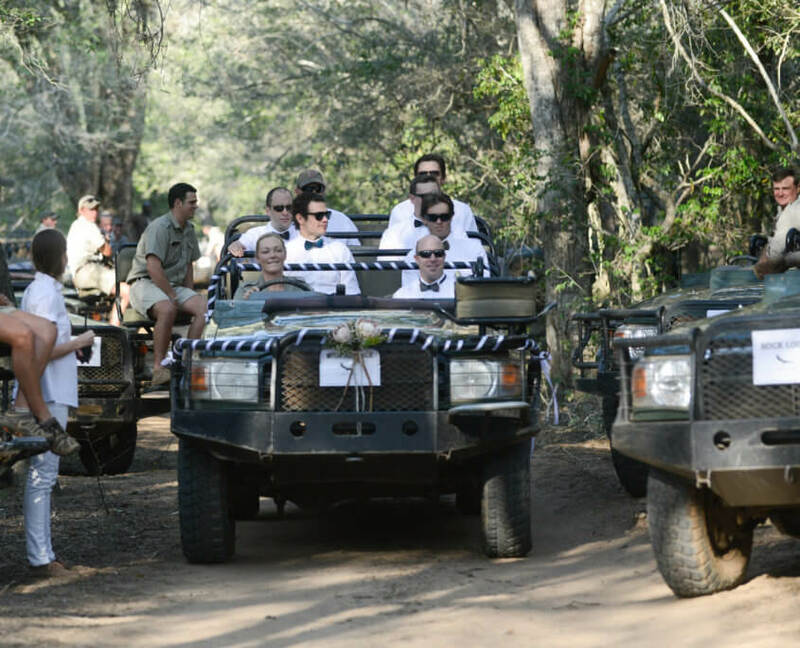 And what would a safari wedding be without plenty of game drives for the guest and bride and groom to enjoy!? But it was to the small remaining fragment of ancient forest that their minds were drawn to most, that place where a dream was made reality. A forest that played host to that most magical of ceremonies and gave further context to the journey a young couple are about to embark on. The ancient African woodland gently reminded one and all that time is precious, and that relationships are to be cherished, nurtured and protected. 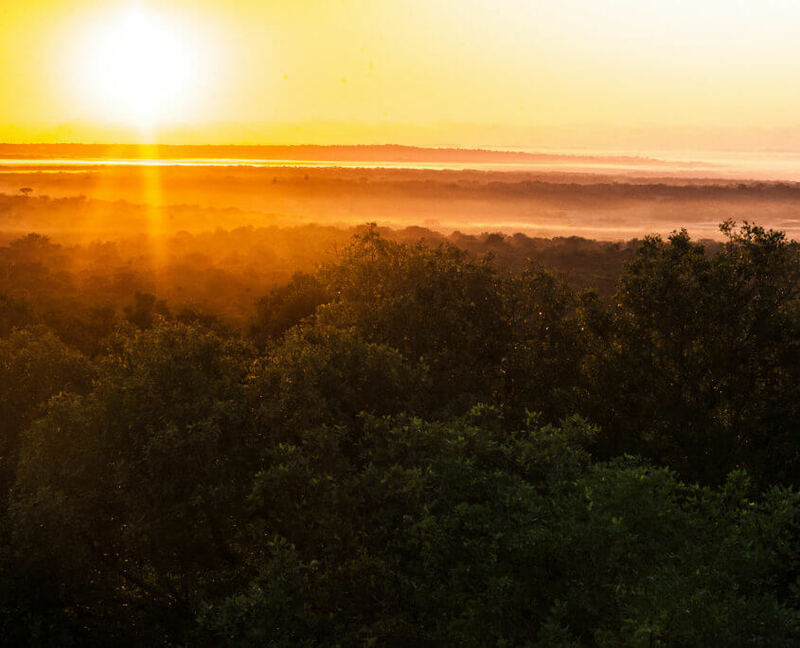 The beautiful Phinda sand forest functions as a biome all of its own, but also as part of a broader ecosystem in the reserve – or community if you will – and it is in this symbiosis of respecting both these states that it survives, so to it is with marriage. Weddings are wonderful occasions at the best of times. An opportunity for friends and family to congregate for the ultimate celebration of love and happiness – a time for sharing and for connecting. But what is it then that makes a wedding so special? The list is exhaustive really, but at the end of the day when all the “I do’s” are said and the formalities are done, the day will forever be special by virtue of the union that has been created and the future that is being celebrated by all. What makes it just that much more special, however, is where one chooses to tie the proverbial knot. This decision really can add so much to the significance of the day and Africa and the African bush have diversity in spades full – with something for everyone’s budget and heart’s desire. 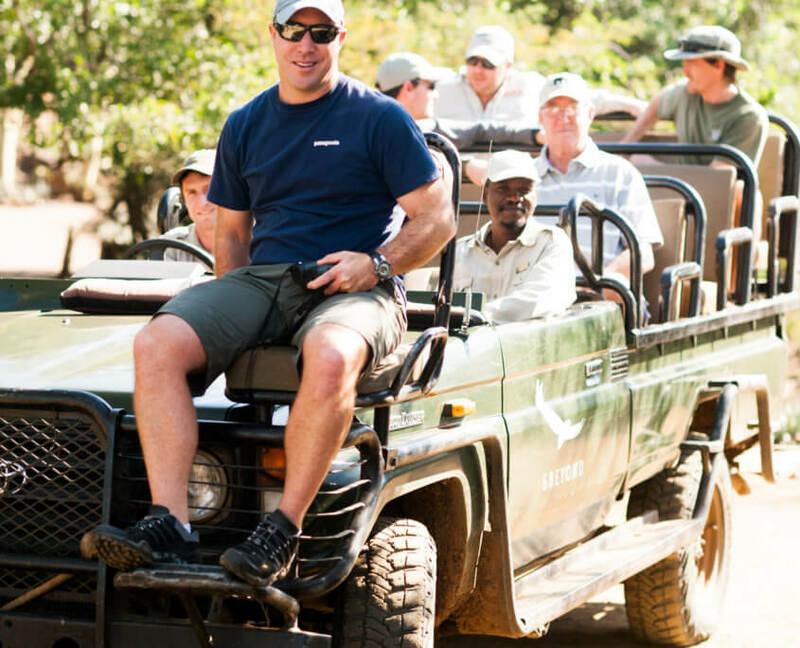 Contact Mammoth Safaris to make your African Safari wedding dreams come true. 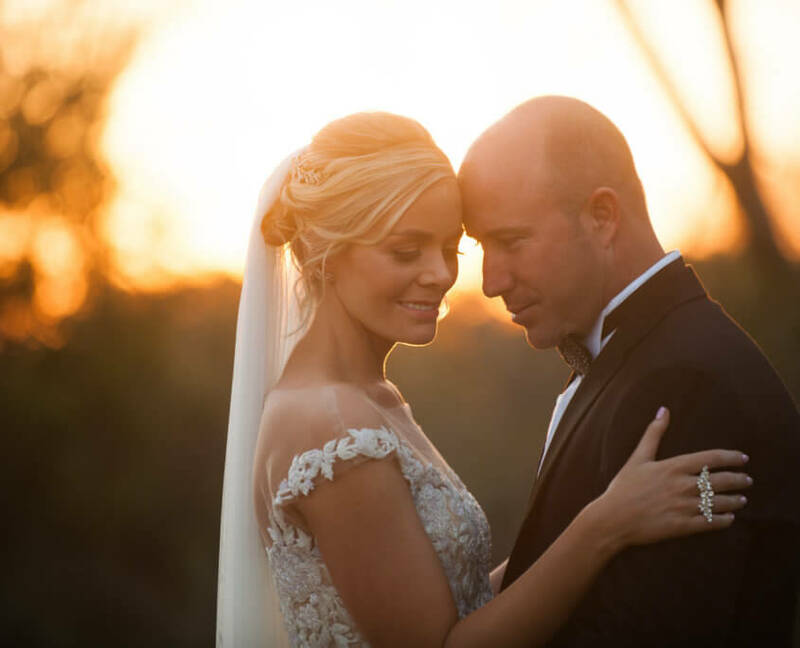 There are few things more romantic than a quiet moment shared under a setting African sun and no better place to experience the most unique and special of weddings. 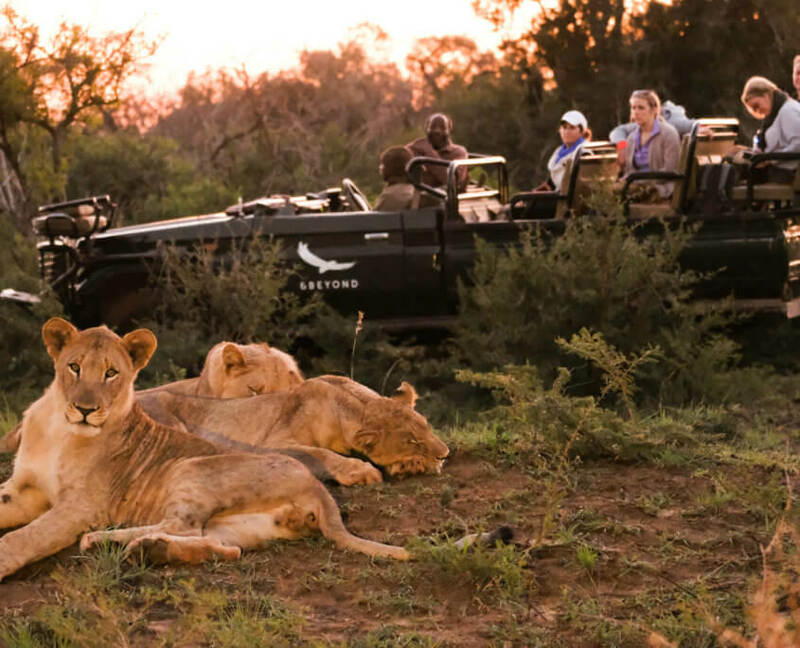 For more information on how to book your Mammoth Safari to search for wilderness, adventure and to create the wedding that dreams are made of contact a member of our sales team by sending an email to info@mammothsafaris.com. Please also visit www.mammothsafaris.com for more destinations and journeys.